Passengers flying out of John F. Kennedy Airport Wednesday had a scare after their plane was clipped by the wing of another flight as they waited to taxi upon arrival in Texas, authorities say. 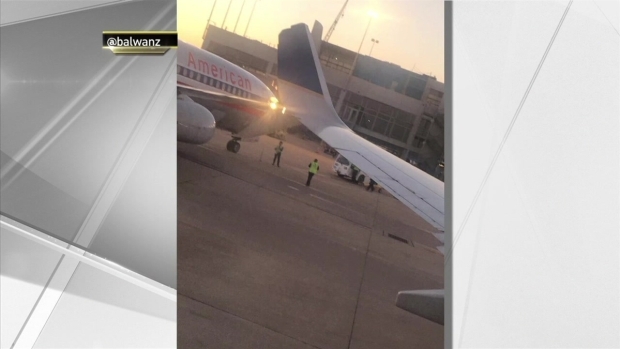 American Airlines says flight 2675 was stationary and waiting to taxi to the gate when the wingtip of a United aircraft came into contact with it. The passengers on the United plane were put on another flight to Houston. A United flight clipped the wing of an American Airlines flight out of JFK while it was waiting to taxi to the gate.